Community Connections Essex (CCE) is a partnership designed to improve employment opportunities for people who are furthest from the job market and who are not currently engaged in existing employment programmes. CCE brings together experienced partners, who have a focus and great experience in supporting people to change their lives for the better. How? By delivering a step by step, steady journey that brings individuals towards their aspirations. Believing in better will allow CCE to implement change for good, with unemployed and economically inactive individuals, helping them not only to find themselves on a ladder in or towards employment, but also supporting them to engage more in their communities and with people around them. 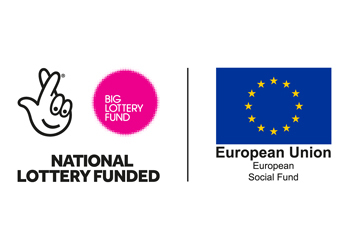 The three year Building Better Opportunities project, which is part funded by the Big Lottery Fund and European Social Fund, aims to deliver a reputable, unrivalled service in Essex Local Enterprise Partnership (SELEP) area, where its participants will be seen for what they can do. CCE went live in April 2017 and is looking to engage with diverse participants, through every walk of life, and ultimately offering choice and progression through learning and bespoke employment support. Community Connections Essex is one of 12 BBO projects operating in the Essex area. 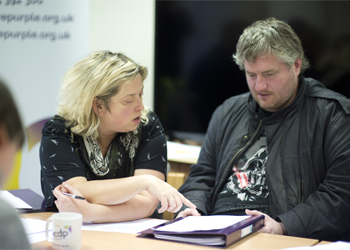 To get in touch and find out more about Purple Works and how you can participate in future programmes, please call Amy on 01245 392 309 / 07904 278 265 or email here at jobclub@wearepurple.org.uk. Alternatively, please complete the contact form below.